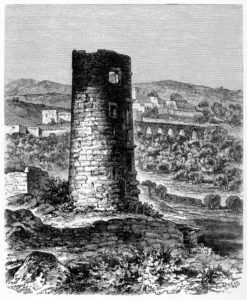 St. Peter’s Tower, according to the most prevalent theory, stands in the Gavrion area in a particularly privileged position from the Hellenistic Period (4th – 3rd century BC). 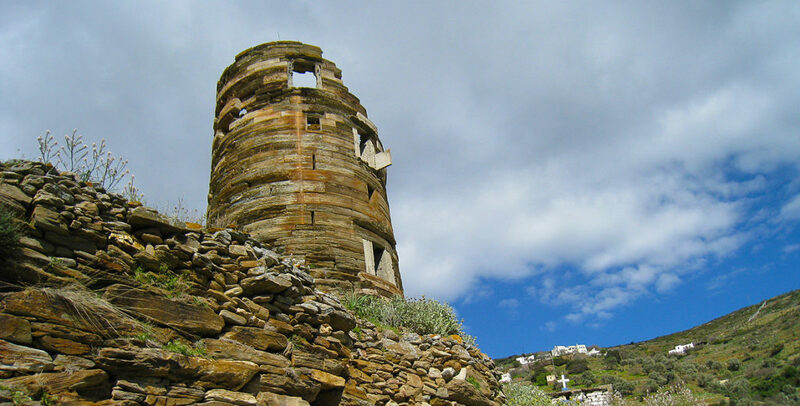 It is cylindrical with a height of 20 meters, a base diameter of about 9.4 meters, made entirely of local slate. Inside, a helical stairway leading to at least five floors survives. Its preserved height and its complex structure make it a unique monument of its kind and one of the best maintained Cyclades. Its dominant position overlooking the sea has given many theories about its use and function. There are many different opinions between archaeologists and historians about the construction period. According to some, it was built at the time of Pelasgians, before the descent of the Greek tribes, and it served as a fortification for the inhabitants who were far away from the capital of Palaiopoli. 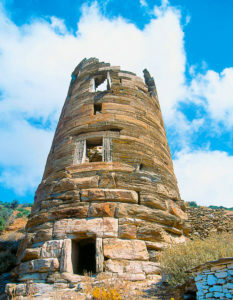 Some others, considering the existence of a tower opposite at Rethi area, believe that it was used to exchange signals with fire. Apparently, the role of the monument was to control the land and the sea. St Peter’s Tower has a base with impressive dimensions. Its walls are made of huge stones, without binder, with a length of more than three meters and thickness of one. The stones are hand-crafted, and the surface of the walls is smooth. Clearly, for security reasons, the entrance door is narrow with a height of 1.3 meters, oriented towards the mountainside. More openings appear around the tower at higher elevations, serving as cloaks and defence positions for archers. To enter someone in the circular room, he had to bend. In this way, the enemy could not perceive the narrow square opening above the entrance that used to access the second floor and could inevitably fall into a trap. A helical staircase gave access to the other floors up to the roof of the tower, from which nowadays 25 stairs made of slate are preserved. The outer wall displays infrastructure elements for additional defence installations. At the source of the village of St. Peter there is an ancient reservoir. 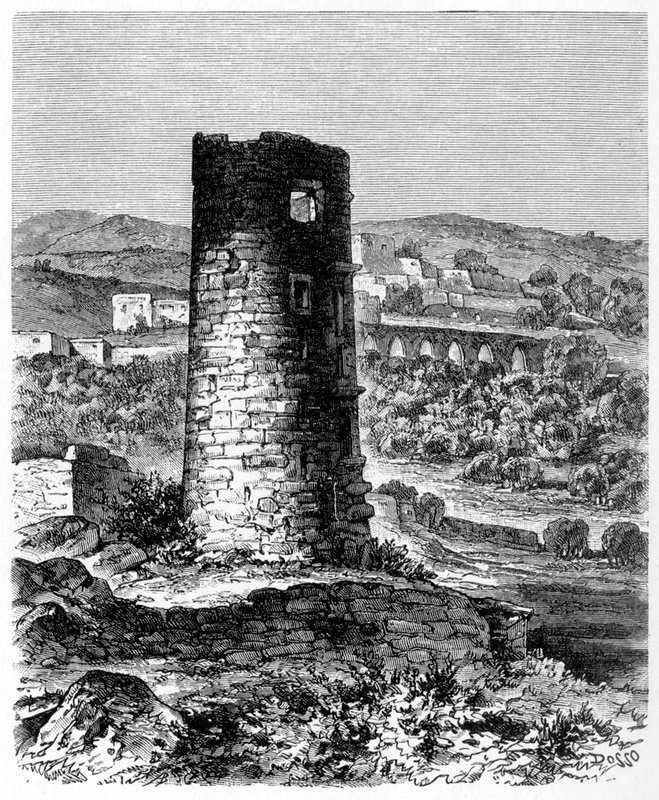 There are finds of an aqueduct system that supplied the Tower with water.